When making the decision to do any type of security system installation, its important for a homeowner to ensure that he or she is getting the most possible value from the system. Often, a homeowner cant reap the benefits of home security if its not installed or maintained properly, and this is true of home security cameras, as well as traditional alarm systems. 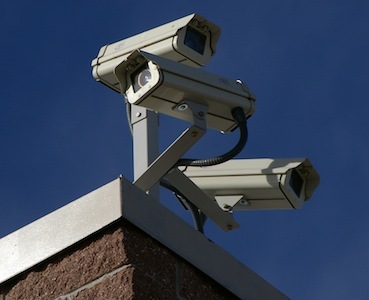 The home security experts at SecuritySystemReviews.com put together a list of tips for homeowners to optimize their usage of home surveillance equipment. SecuritySystemReviews.com provides site visitors with access to home security systems reviews. 1. Use motion detection. Motion detection is important to ensure the best possible efficiency for a home surveillance system. If a camera is set up to record all of the time its going to require hours and hours of footage, that is difficult to review and also isnt easily stored. By using motion detection, the security system camera will be set up to stop recording when no motion is detected, but if something does occur within a home the video will automatically start recording. This alleviates the concern of running out of tape or hard drive space, and makes it much easier to sift through the recordings. 2. Ensure the camera is going to be able to effectively capture video. This is especially important when installing do it yourself home security systems. If there is an obstruction in the way of the recording device, its rendered useless. Position the camera so it can best capture the area its meant to provide surveillance to. 3. Use more than one camera. One camera probably isnt going to be sufficient to monitor the activities of an entire homeparticularly a larger home. At least consider the possibility of installing cameras at all of the main doors or other entry points in a home, which will provide the maximum amount of protection. 4. Use security cameras in conjunction with other home security equipment. While cameras are incredibly useful, in order to provide the most protection for ones home and family, its a good idea to install a complete security system in addition to the cameras. Many home security companies offer surveillance equipment as an add-on to their traditional home security packages. 5. Keep cameras maintained. Just as with other types of home security equipment, a camera is useless if its not maintained properly. Keep the lens clean and free of debris, and if a camera runs from batteries, check frequently to ensure the batteries are working. Its also a good idea to regularly check footage and ensure the camera is optimized to capture everything in the best way possible.